From what BotF can determine NT Draught, which now can only be found in a 2 litre Darwin Stubby, was once brewed in Darwin. It has always been brewed by Carlton & United Breweries and continues to be so, but now as a gift or souvenir beer. 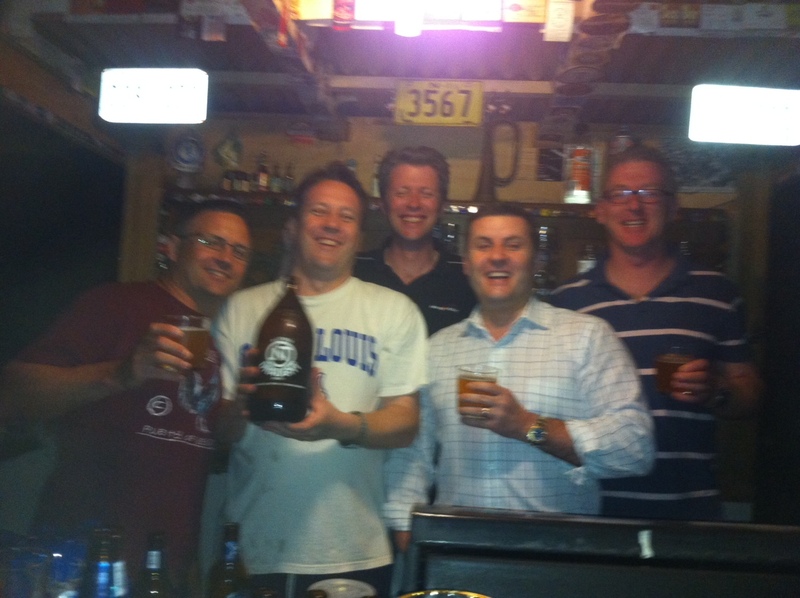 With a continuation of Friday ferry festivities at Cantina, BotF thought it appropriate to knock off the Darwin Stubby. 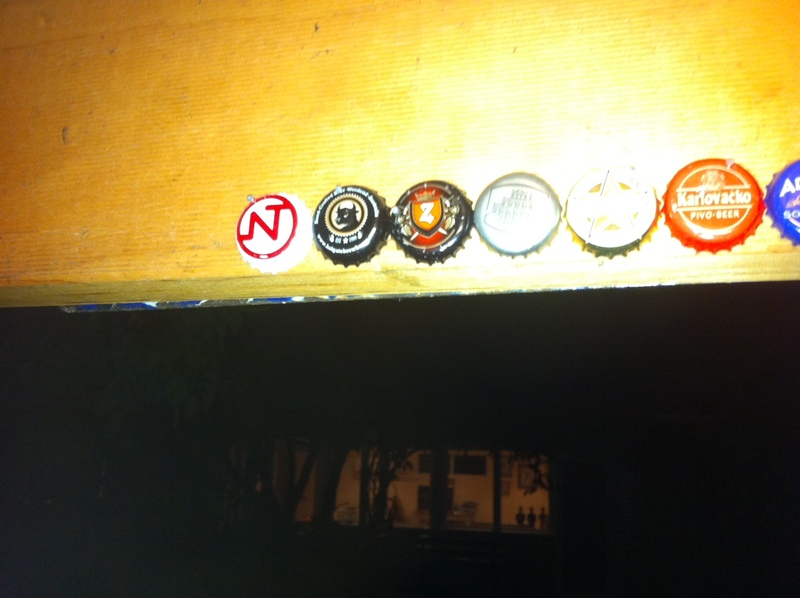 NT Draught does appear to be a different drop to other standard lagers from the CUB stable. For one, it poured much darker than Victoria Bitter or Melbourne Bitter. 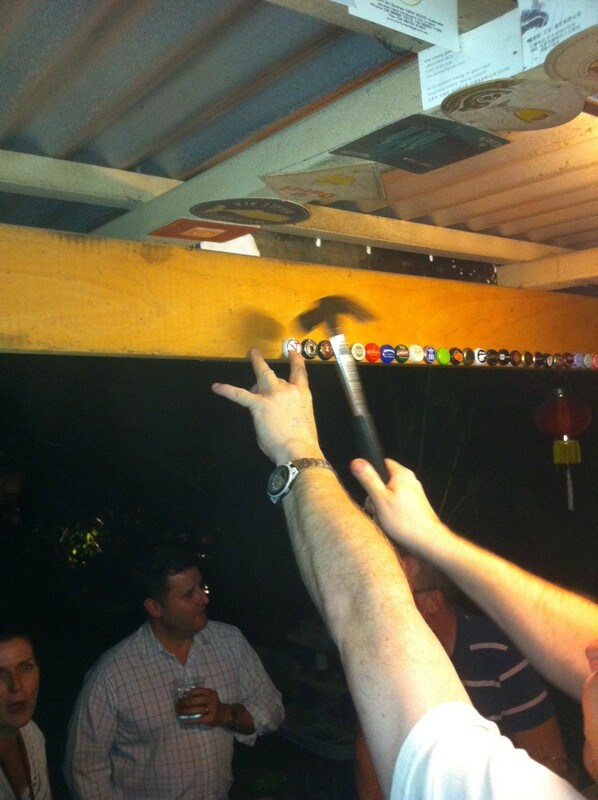 It wasn’t too bad, but is very hard to scull one handed from the bottle. 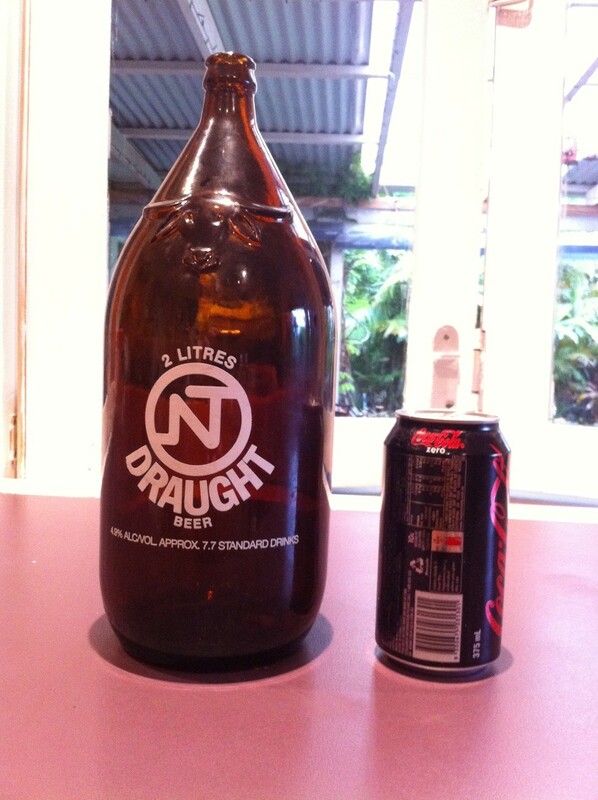 The picture shows the scale and it is genuinely 6 stubbies in one stubby. 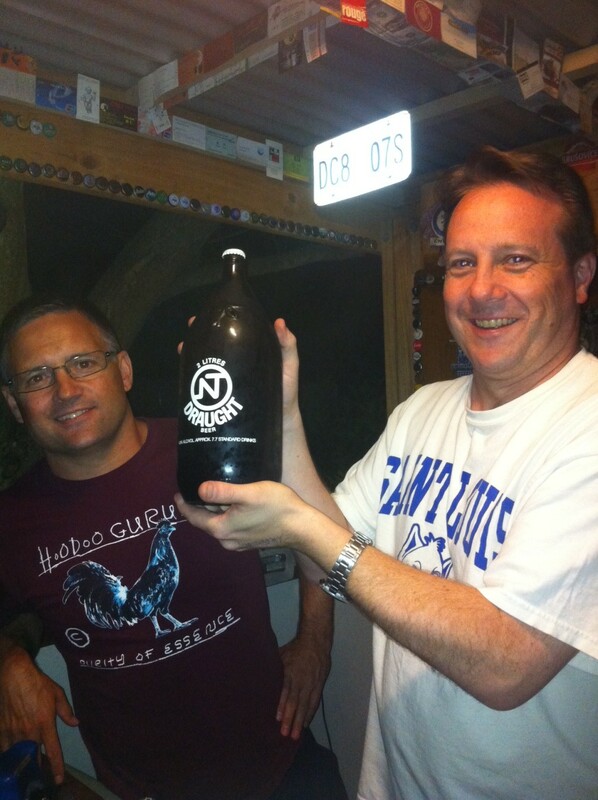 It is reputedly the largest commercially available stubby in the world. BotF has had consumed beer from growlers on the odd occasion and wonders whether this award still holds, but regardless, it is a bloody big stubby. Unlike most Carlton generics (VB and MB), there is a distinctive bottle top and the ceremonial nailing was well witnessed.